Your reputation is everything. So how do you monitor your online reputation? Are you using Yelp, Google +, LinkedIn, Realtor.com or Zillow for reviews? Are you asking past clients and your current sphere of influence to give you recommendations? If you aren’t managing your online reputation, you should start now. 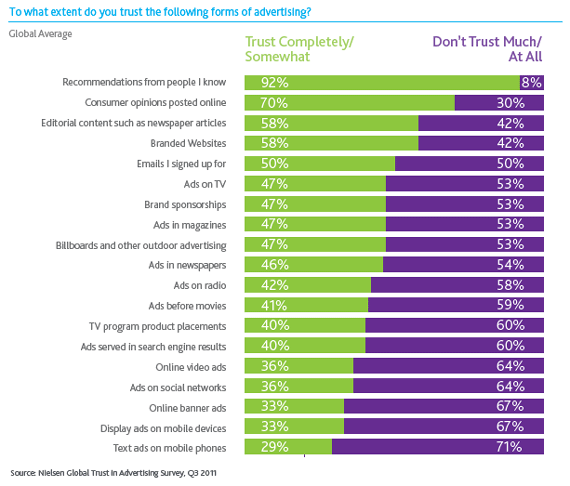 According to Nielsen, 92 percent of consumers around the world say they trust earned media, such as recommendations from friends and family, above all other forms of advertising. Another great tool for reputation management is Google Alerts. By setting up your name, brand, and website with Google Alerts, you will be notified anytime one of these is mentioned anywhere on the web. This allows you to share the good reviews and gives you an opportunity to correct any bad ones.